Join Opera Colorado on Wednesday, February 6, 2019, as we take over beloved hotspot Nocturne Jazz & Supper Club for a French-themed evening featuring a four-course dinner, wine pairings, and the Artists in Residenceperforming favorites from musical theater, cabaret, and opera. Plus, new this season: stay after dinner for a “Nightcap” of mingling and complimentary dessert, accompanied by live Parisian-style jazz from accordion-and-bass duo Alicia Baker & Alex Heffron. (And a few more musical surprises from the Artists in Residence.) Not interested in dinner? You can purchase a Nightcap-only ticket! But hurry! Dinner + Nightcap tickets have already sold out, and a limited number of Nightcap-Only tickets remain. RESERVATIONS CLOSE THURSDAY, JANUARY 31. Includes admission to after-dinner event only, featuring mingling, complimentary dessert, cash bar, and Parisian jazz performance (plus a few surprises from the Artists in Residence). Includes four-course dinner with wine pairings, accompanied by Artist in Residence performance, plus admission to after-dinner Nightcap event with mingling, dessert, cash bar, and Parisian jazz performance. Please Note: We endeavor to accommodate dietary restrictions such as gluten-free, dairy-free, or vegetarian. Please note any such restrictions when purchasing online or by calling Patron Services at 303.468.2030. Special requests must be made no later than Thursday, January 31. 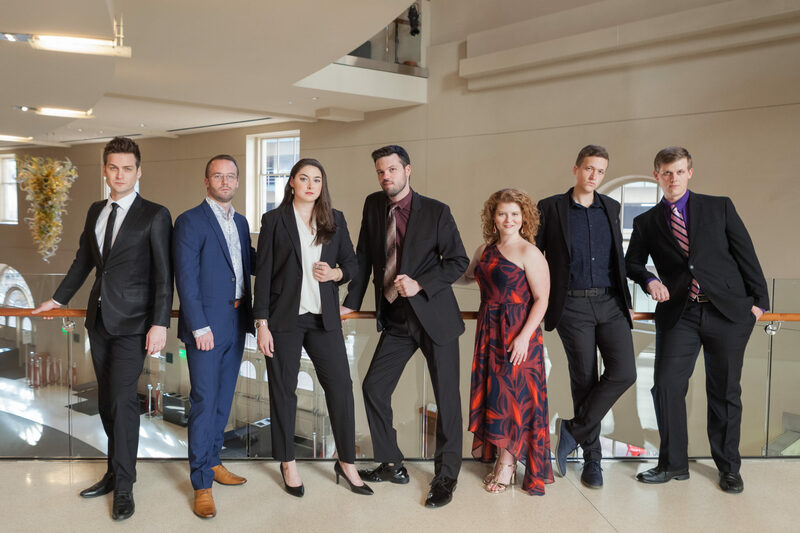 Join Opera Colorado on Wednesday, February 6, 2019, as we take over beloved hotspot Nocturne Jazz & Supper Club for a French-themed evening featuring a four-course dinner, wine pairings, and the Artists in Residence performing favorites from musical theater, cabaret, and opera.